Jaipur House is an amazing piece of property in Jaipur and is located within close proximity to a number of important landmarks. The rooms have been designed in a minimalist manner. The walls have been painted in intricate patterns which soothes the nerves of the guests. 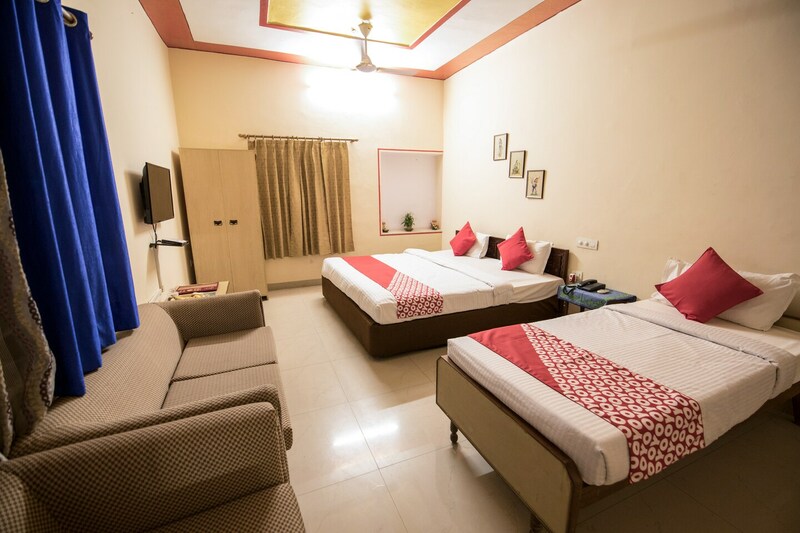 The spacious rooms are well-furnished and have been provided with large windows that are draped with long curtains. The extra facilities provided by the hotel are free Wifi, a constant power backup source, card payment in all forms and CCTV cameras. The front desk service can be easily located and is handled by some wonderful staff personnel who try to solve every problem of the guests.